We are experts in the artistry and techniques of aesthetic cosmetic dentistry. 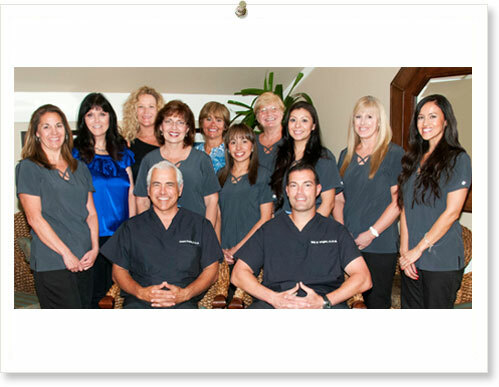 Our mission is to provide comprehensive, general dental-care for all ages. Our reputation is built on integrity, exceptional skill, artistic talent, outstanding service - and perhaps most importantly - superior results. Our staff consists of 10 members who really care! We offer each patient our knowledge and expertise. We are located in the heart of Orange County. Our treatment rooms offer the latest technologies and tools of the trade as well as many amenities designed to make your time with us as pleasant and pain-free as possible. If you are looking for the best dental care, provided by an expert dental staff look no further than Dr. Kahal's and Dr. Wight's dental practice.